Take legal action or instruct a debt collection agency? Sooner or later, every business is faced with the dilemma of a customer who refuses to pay and who ignores all efforts to make settlement. If yours is a fairly new business it may be the first time you have experienced the problem of late payment and have had to consider debt recovery action, even if yours is a well established business, late payment will probably be an issue that you experience so infrequently that you are still unsure of the best way to deal with the problem and recover the debt. It’s important to recognise that there will be a reason why you have not been paid and if the amount owed is not disputed, that reason will almost certainly be that your customer is in financial difficulty. If they have been unable to pay you they will be unable to pay their others suppliers, some of whom will also be considering debt recovery action. It is vitally important to take action quickly, the more time you waste on repeating the process of chasing letters, emails and calls the less chance you stand of recovering payment. If the first letter did not work, the third letter will definitely not work, meanwhile another supplier could have instructed a third party and been paid. You will have a credit control process and procedures you follow and you must ensure this includes establishing when a late payment becomes a debt. This should be based on historic payment information and industry specific payment data. In some industries and sectors payment after 60 or even 90 days is not uncommon, the construction industry for example. You should enforce a policy of drawing a line in the sand, that maybe 30 days past terms or 45 days past terms, whatever you decide is the point that late payment becomes debt you must immediately refer the account to a third party for collection. A letter from a solicitor is often enough to prompt a debtor to take action, especially if they are threatened with Court proceedings. The problem with solicitors is the cost, you will have to agree to pay a percentage up to 20% on any monies that are recovered. 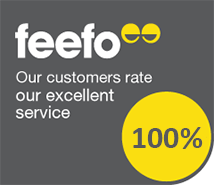 There are solicitor practices that offer a letter before action service for as little as £2.00, but these letters are designed to have little impact and rarely lead to payment, leaving you with the only option of issuing proceedings and paying the solicitors hefty fees for representation in Court. It is also worth considering if you will actually get paid after successfully obtaining a Judgment in Court. Solicitors will not thoroughly investigate a debtor’s financial status and ability to pay, your Judgment could be one of the 40% of CCJ’s that never get paid, and you could have saved the money you have wasted on legal fees. 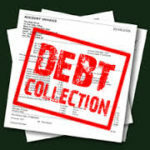 Before you decide to issue legal proceedings its worth considering instructing a debt collection agency. Most agencies now offer a no collection no fee service, so there is no risk in exploring this avenue before taking legal action. Contact from a third party debt recovery practitioner, be it a paid solicitor or an agency working on a no success no commission basis, is often enough to prompt the don’t want to pay debtors in to paying up. It may not be enough to recover payment from businesses or companies that are in distress and cannot pay, however that is another advantage in instructing a collection agency. Investigations by the agency into the debtor’s financial status, future trading prospects and ability to service the debt, could lead to a recommendation to write off the debt and claim tax relief, rather than paying Court and solicitors fees when there is no prospect of ever receiving payment. Your case may qualify for Advocate’s no cost to the creditor debt collection service. Advocate’s costs are paid by the debtor in accordance with UK late payment law, the charges we claim from the debtor are statutory and must be paid to fully discharge the debt. The creditor is not liable to any pay fees, commission or charges on monies recovered, 100% of the principal debt amount is paid to the creditor. Advocate’s debt collection process is quick and easy to use, recoveries take a maximum of 14 days and we often recover full payment within just a few days. All that’s required to get started is a completed account referral form and a copy of the unpaid invoices. Contact us today for advice or information on how we can assist you.